It's time for some terror! OK, we do start off pretty silly, but don't worry, we get to questions in the first few minutes, and then we are very serious and very scary. No, that's not true, the first few minutes of questions are still silly. But then! A scary story! In fact, spoilers, if you don't like scary stories, you probably want to skip the tale from roughly the 7 minute mark to just before 38 minutes in. And then, on to more questions and stories! Near the end of the episode, we talk about the arts that Adam has been doing and posting on his Twitter this month. They're all here on the Sentinel Wiki! This is the last episode of October, so we read ALL of the names for the last time! Also, restructuring of our Patreon is happening later today, so look forward to that! Big stuff in this update! Letters Page AND OblivAeon! We start off by talking about this very podcast! First, the format of the show itself: we'll be recording every Friday (barring scheduling conflicts) and we'll be putting out episodes on Tuesdays. This includes Editor's Notes, which will be recorded live for all Patreon supporters. Also, Extrasodes are going the way of the fondly remembered Interludes. Farewell, Extrasodes! Focusing this show down to the key elements. 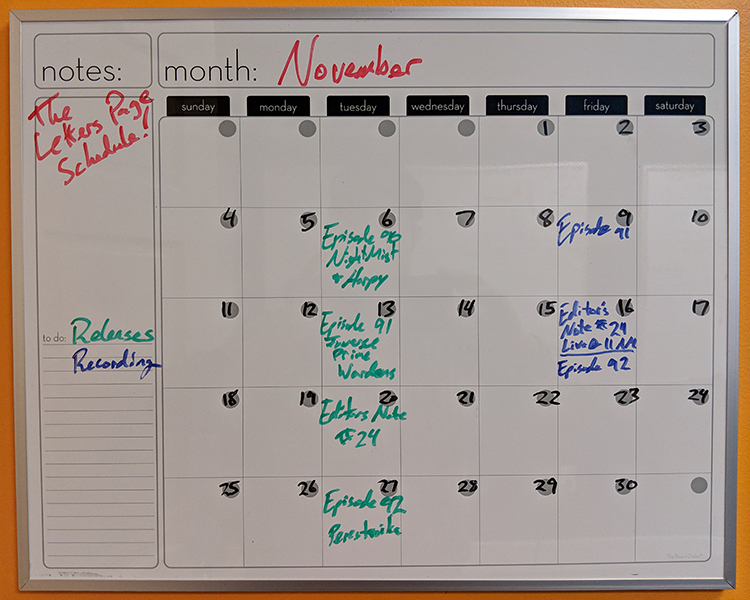 Each month, we'll have an episode every Tuesday, with the exception of the second to the last Tuesday of the month, which will be an Editor's Note. Makes sense? Good! $1: Collectors: You get access to the Patreon, including the live Editor's Notes and anything else we post exclusively to the Patreon. $10: Contributors: This is full access. Topic submission and voting, interactions with Christopher and Adam on the Discord and live interactions during the Editor's Notes recordings. We're excited to open up this community to more people this way, and also focus the show a bit, as well! Look forward to the Patreon changes next week! After all that business, we get to your questions at around the 15 minute mark! And wow, do you have a lot more questions about OblivAeon! At the very end of the episode, we mention that an expansion for Spirit Island is currently on Kickstarter! It's awesome! Go check it out! Thank you so much for listening. We'll catch you next week for a SPOOOoooOOOoooOOOKY episode! When the heroes are down and out, what's going on? We're talking about every single hero character card twice over, plus every Vengeance/VotM villain character card, so we have a lot to cover today. As a result, we get right down to business! Just before the 2 hour mark, we finally get to the villain character cards. Whew! So many cards! At around two hours and 13 minutes in, we answer some questions! Your questions, in fact! We've got an important Editor's Note coming up in two days - this Thursday, we do our OblivAeon follow-up Editor's Note, in which we also talk about how the Letters Page (and the associated Patreon) is changing! See you then! We go through a bunch of casting for well over an hour (with unexpected help from the Irreplaceable Taffyman), and then we get to a few questions starting around an hour and 23 minutes in. We're excited to finally be getting back to the animated series for this episode! Lots to get through here. We start right off with season 1 of the Prime Wardens show. Around 29 minutes in, we get into the two movies after finishing the Prime Wardens show. Both movies! Two of them. Then, just before 41 minutes in, we finally dive into the Dark Watch show, which takes a good deal longer than anything else. We clearly went a bit overboard on this part, but we were inspired! Finally, we get to a few questions at the 2 hour and 6 minute mark. More exciting episodes coming soon! Plus, if you're at the Contributor level on the Patreon, you'll be able to join us this Thursday morning for a live recording of a bit Editor's Note (which will be released in audio form next week). See you then! The final Baron Blade story of the Multiverse! Sure, we are still the fools that mess around for the first few minutes of the episode, but then we get right down to the story! And what a story!! We go through all 12 issues of the Burying the Blade limited series, though not in a page-by-page way, so much as a "telling all the story" method. Just before the 37 minute mark, we use the long-lost spoilers tag! 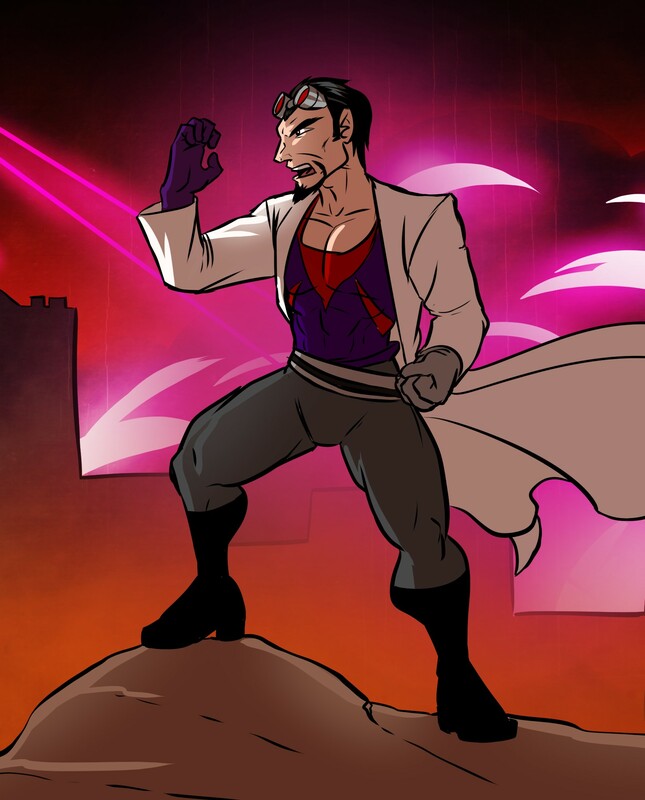 There is spoilery stuff in here for the OblivAeon story, so if you want to avoid that info for a bit more, skip from there to the questions section! Speaking of which, we get to your questions just after the 45 minute mark. We'll be recording this month's Extrasode live on this Thursday morning, so if you're a Letters Page Patreon supporter at that level, come join us for that!